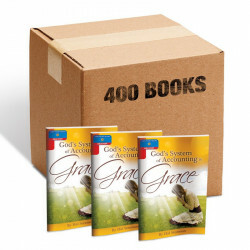 This is for a case of 400 of the pocket book, God's System of Accounting is Grace. Jesus tells a story in Matthew 18 of a servant that was graciously forgiven by his lord of a huge account he could not pay, and yet refused to extend that same grace to a fellow-servant who owed him. 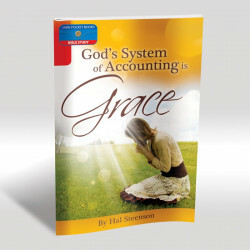 The result of his legalistic mindset was his being handed over to the tormentorsThis book looks at two mindsets; one is legalism and the other is "God's system of accounting," which is grace.